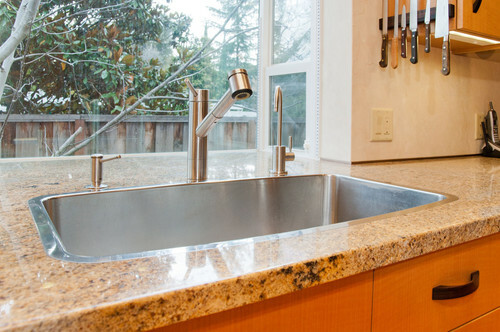 Kitchen sinks are an important component of the kitchen work triangle. 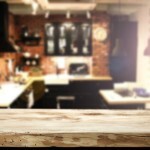 Before buying sinks, it is good to know why you want them and which type would serve you best. Most of us are familiar with kitchens, and know that a sink, refrigerator and hob comprise three legs of a kitchen triangle. 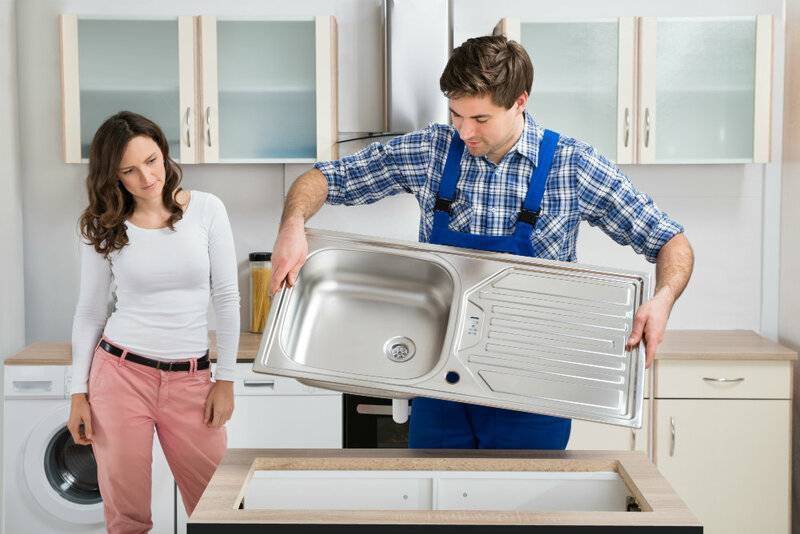 While most of us are aware as to what a sink does and the popularity of single bowl sinks, not many know that there are other kitchen sink types as well, each of which perform particular functions and fulfill specific purposes for the cooking space. Will a single bowl suffice even though you are a large family, or would a double bowl work better for rinsing and washing? Single bowl sinks have just one basin. They are compact, can be fixed into any space, even kitchen corners and are perfect for small homes. Single basin sinks are larger and make washing pots, trays and cookers easier. It is also faster to clean these kind of sinks because of reduced corners and edges. They are also cheaper than the 2 bowled variety. Although Indian kitchens primarily feature single bowled sinks, double bowls are slowly gaining popularity with the flexibility that they afford, while being very convenient. If you have a large family or do lots of cooking, you will need to buy basins that are large enough to store used utensils and wash them. Struggling with a large used cooker in a small sink is one chore that you will not look forward to do at the end of a particularly long day. Double bowl sinks are available in a multitude of configurations; two large bowls with equal depth, two similar size bowls with varying depth, two different sized basins, etc. What you choose depends on what you do in your kitchen, how much you cook, and the size of your family. Decide all of this before making a purchase. A common type of sink used in Indian kitchens, top mount sinks are designed to be dropped into a pre-made hole in the countertop. Most apartments and homes come with such an arrangement, making it mandatory to buy such sinks. Also called ‘drop-in’ sinks, these are easier to install and relatively inexpensive. The projecting lip of the basin does away with the need of an under-counter support system, and are perfect for people with budgetary constraints. Although easy to install, these sinks have an industrial look and may lack sleekness and sophistication. Also maintenance may be more, because of the accumulation of dirt and scum in the gap between lip of the sink and countertop. Stainless steel sinks single basin sinks attached with a draining board also are another type of top mounts. Mounted underneath the counter, undermount sinks have no lip or rim, allowing the countertop edges to drop into the basin creating a neater look. Since there are no crevices or grooves, no food accumulates and cleaning of the sink is also easier since dirt and debris can be wiped straight into the sink. 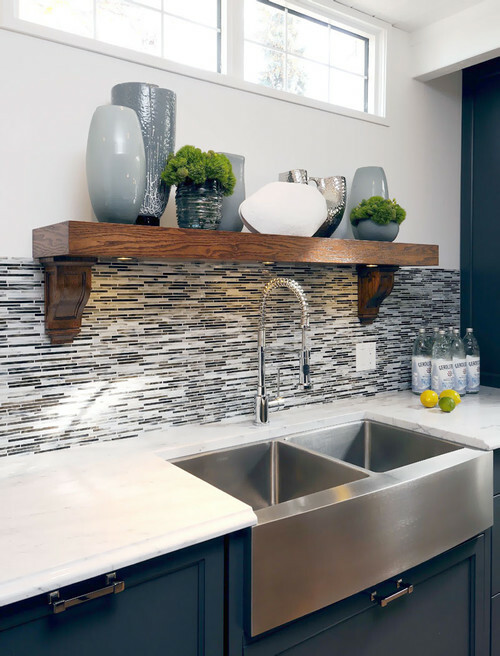 However, since the undermount sinks must be fixed to the underside of the counter, they require more work and are therefore costly to install. 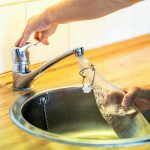 Although stainless sinks can be fixed with just plain glue, heavier cast iron or clay sinks will need an additional internal support system. Undermount sinks also have pipes and faucets that are hidden or fitted with not enough space around them. They will have to be fixed by specifically drilling holes into your countertop.